Walker’s Doughnuts began trading in August 2006 in one of Melbourne’s most iconic landmark sites in the Melbourne CBD opposite Flinders Street station. From here the business very quickly became a true Melbourne icon serving the thousands of daily commuters, CBD workers, students, tourists etc with the most amazing doughnut creations that stem back to old and true well-loved flavours with an old world American charm. Food fads come and go, but Walker’s is eternal. The classic combination of our own exceptional hand-cut fresh Doughnuts, our delicious classic heritage USA Hot dogs, Soda fountain Milkshakes and unique barista-developed Walker’s eight-bean blend Coffee makes it an unbeatable combination for a takeaway destination. 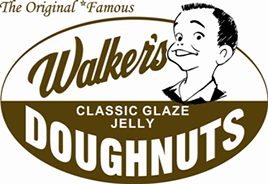 Our business has continually evolved and now includes even more iconic items including our famous Nutella doughnuts, Custard variety filled doughnuts, Hot doughnuts and speciality Heritage Sodas imported exclusively by Walker’s Doughnuts directly from the USA. Since commencing our franchising vision in 2014, our first pilot store and kiosk model was born at Westfield Airport West and then was followed in 2017 with our newest store at Westfield Southland. With the success of these stores, we have our eyes fixed on many more locations. However, we can’t do this without you. So here is your opportunity to get involved in what is probably one of the easiest businesses in the hospitality industry to own and run as we do VIRTUALLY ALL your baking and we deliver fresh doughnuts and supplies to you daily from our central bakery kitchen. Absolutely minimal baking* of products in store; just filling, decorating and display. *Hot Jam doughnuts are proofed and fried fresh on site during the course of a normal day. They are then jammed, sugared and sold. Fresh Doughnuts every few minutes – the aroma is impossible to resist! Minimal baking means you are trading retail hours only, which also results in lower wage expenses. — Simple businesss – FULL training provided in 2 weeks.